I read the book when it first came out, loved it. Having Benjamin Sands read to me? Swoon. He's got the Italian-American accent just right, subtle, not over the top. He also gets the women's parts right too, no cringing needed. Bravo! Sam - I was born in a lab, fostered out to humans, then tortured in a cage. Fate allowed me to escape, and I know why. To balance the scales of justice. Right the misdeeds of the harvesters. Nothing matters but taking down the man who made me what I am: A monster driven by revenge, whatever the cost. Then I meet Layne. She thinks I’m a hero. But she doesn’t understand...if I don’t follow this darkness to its end, it will consume me. Layne - I’ve spent my life in the lab, researching the cure for the disease that killed my mom. No late nights out, no dates. With all of their obstacles, will Layne and Sam be able to find and accept love? I read this story when it first came out, loved it. This is Sam's story, the damaged wolf shifter whose young life was nearly destroyed by the psychopath intent on breeding a master race of shifters. HEA with plenty of action and hotness. The narrator was good, but his female vocal inflections in this reading rang a little false. 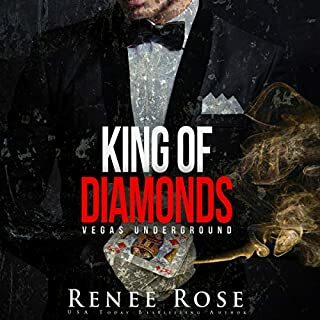 I've listened to Benjamin Sands once before, in King of Diamonds. 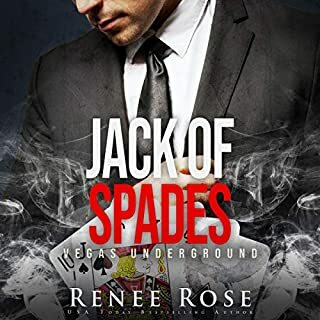 (by Renee Rose), and he was excellent - Mafia bad boys might be his forte. Four stars for the narrator, five for the story. I did enjoy it quite a lot, Mr. Sands has a lovely voice, and the reading kept me entertained during a long car ride. I read (and loved) the book, but was curious what the audible would be like. The performance was excellent, made the story come alive and (fans self) the swoon worthy voice of the narrator brought a new dimension to the story that made it so much better. And hotter. Oh yeah. Certain parts of this you are going to want to be alone while you listen (wink wink).